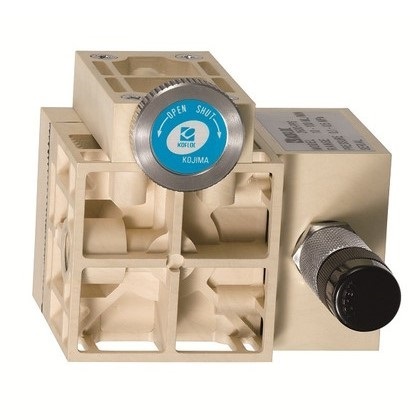 This constant flow valve has been developed for use with liquids. It can control the liquid flow rate irrespective of pressure fluctuations on the primary and secondary sides. It can be used for hot water, as well. The valve composed of high-precision parts permits smooth control. The constant flow rate is maintained irrespective of pressure fluctuations on the primary and secondary (outlet) sides. •Control is possible from a very small flow rate in the 10 ml/min range. •An air-bleeding structure has been adopted for both upper and lower diaphragm chambers. 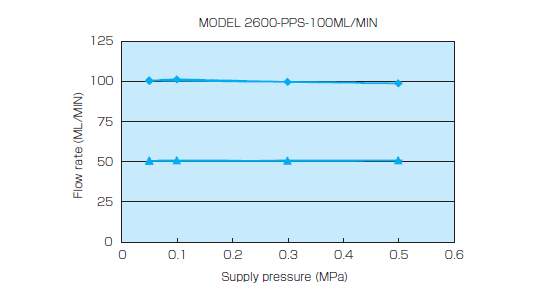 Air bleeding during initial flow rate setting permits high-accuracy control. •Please contact us for other ranges and other kinds of fluid. Note: The above specifications are subject to change owing to circumstances. Install a filter, etc. on the IN side to prevent foreign substances from entering the equipment.